Born on October 26, 1966 in Tokyo, eclectic Basiscape employee Masaharu Iwata has worked on over 80 game projects in a variety of roles during his long career. Though he lacked a formal musical education, external influences such as Yellow Magic Orchestra, Arabesque, and China Crisis inspired him to compose music and participate in some cover bands with friends during his adolescence. Thanks to the opportunities provided by the growth of music technology and the increasing available synthesizer, Iwata was able to develop a distinct musical style, despite initially producing some failed experiments. Around the same time, he developed a lifelong love for video games and, after graduating from high school, looked to find part-time work that combined his enjoyment of games and music. In 1987, he became employed as a resident composer and sound designer at video game developer Bothtec. He subsequently composed the ending movie for Bakusou Buggy Ippatsu Yarou and the original score to Relics: Ankoku Yousai for the Famicom Disk System. Around this time, a timid Iwata was introduced to Hitoshi Sakimoto at a games arcade and immediately established a bond. On behalf of the ASCGroup, the duo created the score to Comic Market PC-8801 shooter Revolter together. Using the custom Tepsichorean synthesizer driver, the duo offered a cutting-edge synthetic sound for the time. Iwata used many of the technical skills he learned on this project to port the soundtracks of Fantasy Zone for the NES. In 1989, Iwata became the principle composer of video game developer Quest following a merger with Bothtec. On their behalf, he initially scored a variety of rather elaborate scores for the Nintendo Entertainment System — offering foreboding sounds for the dungeon crawler Dungeon Kid, a light-hearted adventurous feel for Yasumi Matsuno’s first game Conquest of the Crystal Palace (aka Matendouji), and more diverse tracks throughout the RPG Musashi no Bouken. Through such works, Iwata gained an industry reputation for his colourful melodic compositions and mastery of the NES’ sound source. After completing work on Battle Ping Pong, the artist left Quest to become a freelancer in 1990. He soon found himself in demand on a wide range of titles, spanning trivia on America Oudan Ultra Quiz and The Gorilla Man, to boxing on World Champ, to anime adaptations on Ushio and Tora. However, his most iconic scores from this period were for the action titles Over Horizon and Robocco Wars, where he was credited under the pseudonym REZON. In these works, Iwata built his music principally from chord progressions and combined synth melodies, rock riffs, and slap basses to create rich, memorable fusions, many of them influenced by Motoaki Furukawa’s Gradius II score. In other works, the artist embellished the wild western setting of Cowboy Kids and the traditional Japanese aura of Shikinhou. Marking his first album release, he also adapted his soundtrack for the NES version of Might and Magic into an arranged album. As a freelancer, Iwata also joined forces with Sakimoto on several projects. The artists developed a mutual affection and respect for each other’s music on Starship Rendezvous, Verytex, and Metal Orange, all featuring contemporary scores well ahead of their time. But their most ground-breaking collaboration was the frenetic shooter Magical Chase. Featuring the TurboGrafx-16’s most technologically commanded implementation, the score was quite light-hearted with its high-speed arpeggios and distinctive slapped basslines. While the game is now ultra-rare, the score remains Iwata’s personal favourite and is also historically significant; by introducing Sakimoto to developer Quest, Iwata facilitated his partner’s rise to fame. Making further technical advances, the artist flirted with an orchestral style for the first time on King Breeder and Gauntlet, before refining such stylings as the lead composer on Matsuno’s hit strategy game Ogre Battle: March of the Black Queen. The composer anchored the success of Ogre Battle by championing militaristic battle themes and exposed his straightforward but intricate orchestral style. He enhanced the richness of the score by inviting Hitoshi Sakimoto and Hayato Matsuo to produce additional compositions, forming the ’Ogre Trio’. Selling half a million copies, the title served as a popular breakthrough for Iwata and his collaborators in Japan. A year later, Iwata engaged in his greatest electronic collaboration with Sakimoto on Eighting / Raizing’s 1994 shooter Shippu Mahou Daisakusen; one of the last scores that used the Terpsichore sound, its score was remarkably catchy, upbeat, and light-hearted. Iwata reunited with designer Yasumi Matsuno on the tactical RPG Tactics Ogre: Let Us Cling Together in 1994. The title retained the idiom of the Ogre series while creating an experience altogether more emotional, intricate, and grand. The title served as a musical exploration ground for Iwata and Sakimoto and the first instance where they portrayed deep human emotion. The score for this title and its predecessor received soundtrack releases, complete with original and MIDI versions, and were also interpreted in an orchestral album arranged by Matatsugu Shinozaki that achieved considerable popularity. The following year, Iwata established his relationship with Square and String by creating five tracks for the Super Nintendo RPG Treasure Hunter G. Between such works, he revisited his whimsical contemporary sound for Chip-Chan Kick! and Dragon Master Silk II, between contributing the electro-acoustic anthem “Cipher” for the original album GENERATE, Now practically inseparable from Sakimoto, the artist went on to create 25 tracks for Final Fantasy Tactics after Quest’s main members left to form a development team at Square. Here, he refined a dark symphonic style that shone in a series of dissonant battle themes and also created several lyrical location and event themes. While his role wasn’t as central as on the Ogre series, the score was gloriously received and helped to expose his name in the West. Iwata subsequently worked on the rock-flavoured scores for the arcade fighting games Bloody Roar (aka Beastorizer) and its sequel on behalf of Eighting / Raizing, becomes friends with co-composers Manabu Namiki and Kenichi Koyano in the process. Despite the success of the Iwata and Sakimoto collaboration on Tactics Ogre, Final Fantasy Tactics, and Shippu Mahou Daisakusen, the duo’s careers diverged in 1998. Iwata’s relationship with Yasumi Matsuno crucially ended and he receded from the mainstream while Sakimoto went on to produce major works such as Vagrant Story. Nevertheless, Iwata was still given the freedom to produce his most ambitious musical experiment to date with Baroque. The composer emphasised the frightening and disorientating nature of Sting’s horror RPG with a distinctive blend of dark electronica, industrial ambience, noise music, and ’new age’ references. The score was beautifully implemented using cutting-edge samplers and, reflecting its cult popularity, its album release has since been reprinted. Maintaining his relationship with Sting, Iwata led the scores for the Dreamcast RPGs Evolution: The World of Sacred Device and Evolution 2: Far Off Promise. Though no original scores were released, he was able to vary his usual style somewhat to reflect the colour of their worlds. The composer also made an appearance on Ogre Battle 64: Person of Lordly Calibur, but took a smaller role than earlier titles — focusing on creating timbral soundscapes rather than strong themes. Still an avid gamer, Iwata felt truly moved every time he heard music he made used in gameplay when each of these projects were completed. Also maintaining a friendship with record producer Shinji Hosoe, he was invited to contribute the ethereal “Tide Graph” to the original album 2197. Between 2000 and 2003, Iwata refocused his career towards technical aspects of game audio production. Already having a reputation for his technical innovations on Baroque and Final Fantasy Tactics, he was recruited by Yoshitaka Hirota to work on the original Shadow Hearts as a sound effects designer and synthesizer operator. Here, he created some of the finest PlayStation 2 synth using the internal sound memory. He also recruited for three instalments of Eighting / Raizing’s Golgo 13 Arcade shooter series, released annually between 1999 and 2001, offering impacting sound effects throughout. But despite his previous experiences on titles like Shippu Mahou Daisakusen and Bloody Roar, he did not take composing roles on the trilogy. As a composer, he was asked to take a leading role on the Game Boy Advance’s Tactics Ogre: The Knight of Lodis, though its soundtrack was not released due to Quest’s financial difficulties. In a further blow, his only other composition project during this period — Sting’s Game Boy Color game Koguru GuruGuru project — was ultimately cancelled. Despite his experience and musicianship, evidence suggests that Iwata struggled to scout for projects in the increasingly more demanding and competitive industry. Still friends with the increasingly successful Hitoshi Sakimoto and Manabu Namiki, the trio discussed setting up a music production company together to increase their exposure and workload while largely maintaining independence. Iwata became a founding member of Sakimoto resultant music production company Basiscape established on October 4, 2002. The company soon gained a reputation for high quality composition, arrangement, sound effects design, and sound manipulation after successfully scouting for a range of projects. Iwata’s first Basiscape project, Sega’s Gekitou Pro Baseball, incidentally marked his final solo score. Since then, he has primarily been asked to work alongside his colleagues in supporting roles. Seven years after their last collaboration, Iwata joined forces with Sakimoto once more to arrange the flight simulator Kuusen II and score the tactical RPG Stella Deus: The Gate of Eternity; on the latter, the artist offered a variety of rich symphonic material and co-arranged the title’s promotional arranged album. Also in 2004, Iwata revisited his Terpsichore sound to create several nostalgic techno-pop themes for Cave’s manic shooter Mushihimesama alongside Namiki. During his initial years at Basiscape, Iwata often found himself back in the fighting arena. He frequently contributed music to anime-inspired fighters and brawlers, notably Fullmetal Alchemist: Dream Carnival, Jikuu Bouken Zentrix, Zoids: Full Metal Crash, BLEACH: Heat the Soul 3, and Digimon Savers: Another Mission. He produced suitably action-packed contemporary themes that stayed faithful to the tone of the original animes and their characters. Benefiting from his previous experiences with Eighting / Raizing, the artist also create the sound effects for the first two BLEACH: Heat the Soul titles and Rurouni Kenshin: Enjou! Kyoto Rinne. Despite taking supporting roles in most productions, Iwata often shone with his contributions to RPG projects. Returning as lead composer of Wizardry Gaiden: Prisoners of the Battles, Iwata channeled influences from Kentaro Haneda on the grandiose orchestral tracks, while reflecting his individualism on the several more ambient and soothing creations. Gaining his first taste of MMORPG scoring on Fantasy Earth: Zero, Iwata offered intricate and subdued orchestral music intended to sustain repetition during gameplay. The artist went on to capture the colour and youthfulness of Brownie Brown’s Children of Mana with nine tracks mostly used as stage themes, channeling particular inspiration from listening to Hiroki Kikuta’s Secret of Mana soundtrack. Iwata also made appearances on Monster Kingdom: Jewel Summoner, bringing some old-school tributes to the ten composer score, and Final Fantasy XII, creating the dark, choral-based “The Sochen Cave Palace” and “The Feywood”. Also still respected for his contemporary compositions, the artist was invited to take leading roles on the licensed titles Digi Communication 2 in 1, Battle B-Daman, and IGPX Immortal Grand Prix. On several occasions, Iwata has also contributed to collaborative arranged albums, namely for Mahou Shoujou Ai 2, Phantasy Star Online, Mushihimesama, Hyper Street Fighter II, Ragnarok Online, and Pink Sweets Ibara, exploiting the stylistic freedom available to him to create both symphonic and electronic works. He was also given a chance to commemorate his classic score for Over Horizon at the Extra: Hyper Game Music Event 2007. The expansion of Basiscape into a fully-fledged music production company left Iwata with subsidiary roles on most projects. Between 2006 to 2008, Iwata’s music featured on licensed titles based on the Eyeshield 21, Fate, and Doraemon franchises — important income generators for Basiscape — as well as original RPGs such as Grim Grimoire, Deltora Quest, Final Fantasy Tactics A2, and Beyond the Yellow Brick Wall. The artist’s music and sound design also regularly popped up on the annual instalments of the BLEACH: Heat the Soul franchise. Yet in all cases, Iwata took a supporting role in the development — generally asked to emulate the styles of others or help complete a score just before the deadline — rather than truly expressing his individuality. Both efficient and versatile, the artist has nevertheless been able to deliver in response to such requests. Nevertheless, there were some major highlights. 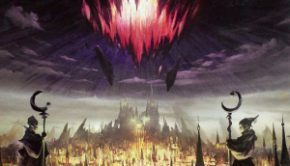 He created the majority of the vivacious battle themes and emotional marches on Odin Sphere, between revisiting his tactical orchestral sound on Mistwalker’s A.S.H. -Archaic Sealed Heat- in a more balanced collaboration with Sakimoto. In other substantial supporting roles, Iwata has contributed frivolous electro-acoustic pieces for Opoona, light Celtic improvisations on Elminage, bold action tracks on SoulCalibur: Legends, and atmospheric science-fiction scoring on Coded Soul. Iwata also caught listener’s attention with his guest contributions to Let’s Tap and DeathSmiles IIX. Iwata’s reputation as an orchestral composer nevertheless led him to lend his services to several major franchises. Having impressed Junichi Nakatsuru with his guest contribution on SoulCalibur Legends, he was asked to take a more substantial role on SoulCalibur IV; the artist captured blending militaristic orchestrations with worldly influences throughout the stage themes, and also brought considerable depth to several event tracks. 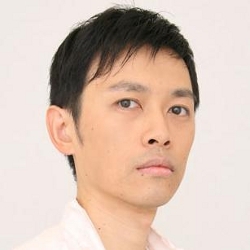 The artist has maintained an association with Namco Bandai since, having made guest contributions to Tekken 6, Tekken: Blood Vengeance, and Taiko no Tatsujin Wii. Iwata offered a number of colourful setting and character themes for Konami’s Suikoden Tierkreis, before taking a central role on the adventurous score for Nippon Ichi’s Zettai Hero Project. In 2010, Iwata returned as the music director on Tactics Ogre: Wheel of Fortune; the artist aimed to stay faithful to the concept of the original SNES score throughout the arrangement and recording process, while offering the production values of modern orchestral scores. Also continuing to take small roles in a number of other projects, Iwata has made traditionally styled contributions to Grand Knights History, Yuusha 30 Second, and Oh! Samurai Girls! S. He also successfully adapted his style to work on more outlandish projects such as Muramasa: The Demon Blade, The Denpa Men, and Pokémon Battle & Get. With Basiscape now a smaller company, it remains to be seen whether Iwata will once again serve as a sound director on new scores or will continue to serve primarily as a supporting artist. Posted on January 20, 2013 by Chris Greening. Last modified on March 21, 2014.